Canoe Sport and Erbse2006 have led discussion. 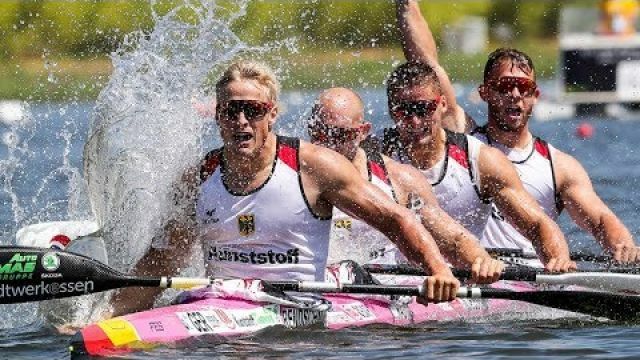 Read only on CanoeSport. First of all tell us what is your reality name? My real name is Trummer Erwin. The nickname “erbse” came from the primary school, where my schoolmates gave me this nickname. In 2006 I decided to create a Youtube-account and I added “2006” to ”erbse” – so my youtube name was “erbse2006”. My idea was to make a canoe sprint video, because I was browsing around on youtube and saw some really nice videos. I decided to upload one by myself; this was my first “Flatwater Kayak” Video. Tell, are you doing flatwater kayak or canoe? I practice flatwater kayak. I’m in the Austrian national team since last year. I really enjoy this sport. I think it’s a great experience to see other athletes and other countries, how they train and what they do. I hope that I will see some new countries, athletes and championships in the future. I really enjoy that kind of watersport. Why do you have started flatwater-racing? I started kayaking in 2000. A schoolmate motivated me to start kayaking. At first it was only a hobby for me, I think I trained only once a week. The older I got, the more I decided to train harder. I enjoyed hanging around with my friends and I also enjoyed spending my time to train with them. Today flatwater kayak is a living adjustment for me. Today I nearly train every day and I hope that one day I’m able to compete with the “world champions”. What is your strongest result in this sport? In 2010 I’ve won the Austrian Marathon Championships and in K4 over the 500m, we also occupied the 1st Place. Another great result for me was to take the 2nd place at the international regatta in Auronzo over 1000m in K2. I also compete in Moscow at the European Junior & U23 Canoe Sprint Championship. It was an amazing location, this was my first “big” canoe sprint event. 2011 I took part at the World Cup in Poznan and reached the B-final over 500 and 1000m in K2. I improve my training and technique to get better. What do you love most concerning flatwater racing? At first I really love that canoeing is a team sport. You meet your friends and at championships you became acquainted with other athletes. To paddle in a “Race Kayak” you need a lot of body control. The kayak sport keeps you healthy. It’s the best way to socialize international contacts. By and large it helps you to keep your body fit and socializing with other people. You have many good videos, which video do you like the most? I really enjoy when people like my videos. Personally my favorites are the videos that I created by myself (self-recorded-videos). It’s a challenge to edit the videos that other people watch it, like it, and think: “Wooow amazing video, others must watch this too”. Then my videos get viral and I did a good job. I recognize rapidly which video gets popular and which is unpopular. On Youtube I have now about 700 Subscribers but some of my videos are watched over 50.000 times. Then I knew people are fancied by that kind of video. I hope in the future I will be able to record my clips by myself and not to use “television material”. Before, you used film-material from Eurosport. Are you now recording the videos at the World-Cup and in Europe by yourself? Yes I bought a Canon, now I’m able to record videos by myself. I think you have more free space to record your individual sequences. Another point is that using material from eurosport is frowned. Last year I got a mail that I had to delete all the World Championsips races from Poznan (2010) or the EBU takes legal action at me. Quickly I decided to delete all races from youtube. 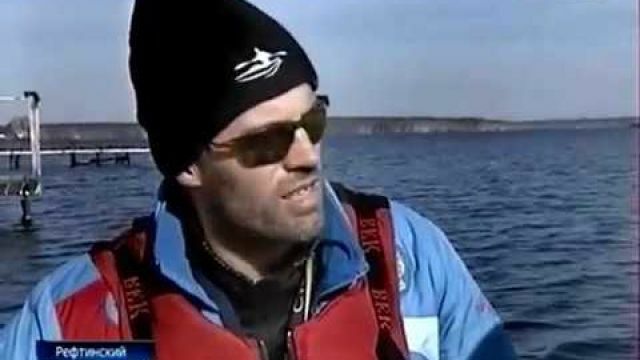 My idea was to show people this sport and the fascination of canoeing, but I didn’t want do become worse with anyone. After that mail I was careful with uploading kayak races. Since this moment I decided to make “summaries”, of different competitions. At the beginning of the year I uploaded a video from Poznan (World-cup) and I saw people really liked this video. It was filmed by me. That was a good start beginning to record my own videos and not using material form eurosport. How long does it last to create one movie? That’s a good question and it´s hard to answer. It’s very different, sometimes I’m very motivated and I edited the video about in 2 or 3 hours, but sometimes I’m really bored to finish the video. The difficult thing is to find the correct music to the clips. I’ve tried to search for music that fits to the video but it’s not possible. For myself I hear the music (maybe in the car, radio, or at a party) and then I see the video in my head. Many people knew that I prefer electronic music, for me it’s impossible to create a video to metal music or something else. When I’ve found the music, I had to find the well-fitting sequence to the beat. Sometimes I have to correct the video more than 10 times, because it doesn’t fit right to the video. After uploading it on youtube, people are able to see the finished video. Sometimes the video includes many hours of work, and then I hope that people like the video. Where do you get the ideas for movies? I get ideas form other youtube-users when I watch their videos. I really like when people send me messages on youtube to watch their videos. I also enjoy watching videos of athletes, for example Anders Gustafson, Rene Holten Poulsen or Rok Kuk, they make amazing-cool-nice training videos! Last year I decided to buy a Canon DSLR, the Canon 550D after reading a lot about it. My first idea was to buy a Camcorder, but after I saw how expensive these cams are I decided to buy a DSRL. That was the best decision as it later turned out. I made some tests with the 550D and I was surprised that the camera made such good videos. 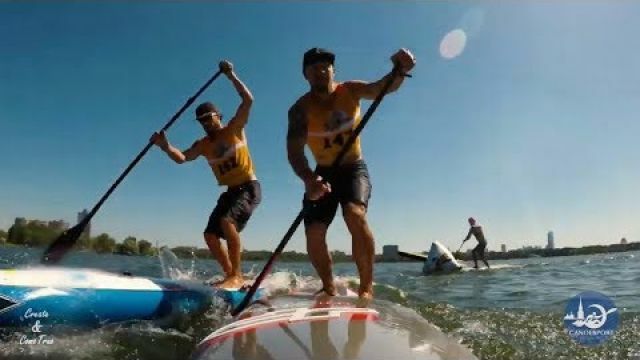 I bought a 75- 300mm lens for the worlcup in Poznan and made the video “Flatwater Kayak 7” with the lens. Later I sold the lens on ebay, because I was unhappy with the result. What do you think, what should be a video for the popularity of our sport? My idea by editing videos is people should get motivated to start kayaking or train harder to reach their results. I want to show people the fascination of flat-water kayak. The energy, the power the synchronic you need in a K2 or K4. And I get motivated when people like my videos and the videos getting more and more views. Reading the comments of the videos and getting feedback from the people, that’s why I make these videos. Will you make a video about the World Championship 2011? I’m not sure if I will be in Szeged this year. If I am, I´ll be there as a spectator. Szeged is an amazing location for the World Championships. I saw videos from 2006 and atmosphere was absolute amazing. For myself I absolute want to visit the championships, but I think it will be very difficult to film from the spectator stages. To get an authorization for the athletes area is hardly possible. So it will be really difficult to record fine material. In Poznan it was no problem I was there as athlete so it was possible to film everywhere I wanted to. Which Russian sportsmen do you know? At first there is Ryahov Anton in my mind. He is a great K1 paddler; I’m fascinated by his amazing technique. Then the young Russian crew YURCHENKO Vitaly and POGREBAN Vasily, they made great results this year. They won the worldcup in Racice. Amazing result! What could you wish young sportsmen? Train hard, your time will come! If you enjoy something doing, you do it well! Erbse2006 и Сергей Медведев, специально для Каноэ Спорт. Thank you Erwin. Your video - amazing! млодец парень! как сказал бы Павел Воля - РЕСПЕКТ И УВАЖУХА! Прикольно Антона Ряхова назвали "Колёсным пароходом". 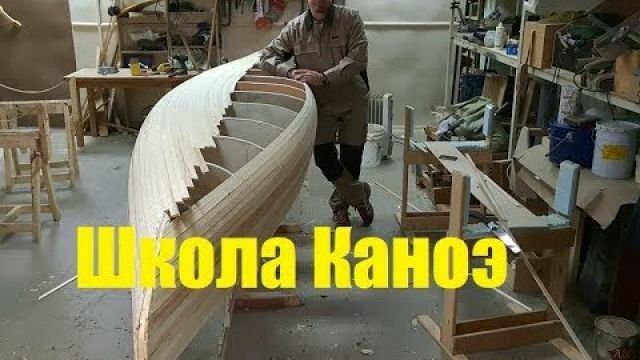 Благодаря увиденным клипам мне тоже захотелось своим Canono м поснимать соревнования, а я объектив 50/1.8 даже не думал использовать для съёмки видео. Я вчера снимал два заезда на соревнованиях на Сазанке в Энгельсе но чтото перевести видео в формат пригодный для просмотра не смог, сижу разбираюсь. да и так нормально читается. Wow!!! Very good interview, thank you Erbse! Ребята на днях сделаю перевод и опубликую интервью на Русском языке!..